One of the biggest issues we hear in a family law case is that an ex (or soon-to-be ex) is purposely not earning enough money to seem like they make less money in hopes of avoiding paying alimony or child support. One spouse may feel that the other is running a business into the ground, or that he or she is purposely working in a job that pays less than what an old job paid, or that the ex is literally doing nothing in order to try to show as low an income as possible. On the other side of the spectrum, there are those who really are out of luck. Maybe they have a business that is legitimately failing, or they are in a profession that once was lucrative but now has dried up (such as real estate agents during the real estate crash a few years back). Now, their spouse expects payment based on old income numbers that the other spouse really doesn’t have and can’t pay. To avoid this problem, Florida uses what is known as imputation of income. Imputation of income occurs when a court assumes you make what you are capable of earning based on your experience, education, and background, even if you aren’t actually earning that amount. For example, let’s assume you are a chiropractor who once brought home $100K per year. Seeing a divorce coming, you now start going into the office only 3 days a week, and your take-home income has lowered to $60K a year. Unless there’s some reason why you can’t work the full schedule you once did, the court may “assume” that you are making the $100K that you could be making had you been working five days a week. This can lead to a difficult situation for both sides. From the payor’s side, he or she now has to pay money that he or she may be able to earn, but doesn’t presently have. 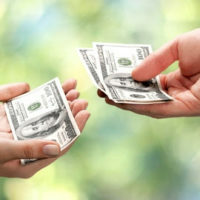 It’s “assumed money.” The payee is in a tough spot as well, because although there may be an award of X dollars in alimony or child support, that money is unlikely to be paid in the short term. The imputation of income can’t be arbitrary or a guess. Most of the time, a court cannot impute income to a party that the person has not historically ever earned. In some cases, experts are needed before income is imputed. In our example, a court needs to hear from a chiropractor what a full time employed chiropractor can expect to make. Courts may also look to government statistics as to what a given profession can expect to earn. Remember that even if you are the one receiving alimony or child support, income can still be imputed to you. In most cases, this would result in a reduced payment from the payor spouse to you. Make sure your attorneys know the issues you’ll face in your divorce. Contact the Tampa family law attorneys at the Pawlowski//Mastrilli Law Group for a consultation about your rights.